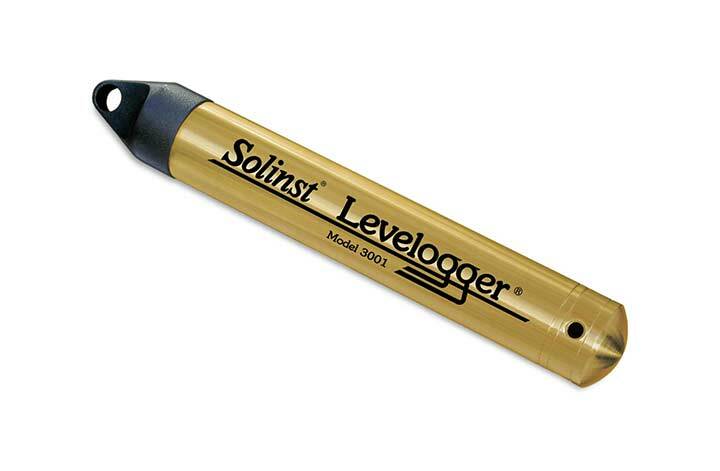 The Solinst Levelogger Gold is a water and level temperature recording device representing the next generation of water level dataloggers. It is greatly improved over previous versions delivering higher resolution and high accuracy of 0.05%. The levelogger Gold has improved transducer, temperature and clock accuracies all designed to deliver superb accuracy, long term stability and a 10 year battery life based on a reading every minute making Leveloggers the ideal device for recording water levels. A Zirconium Nitride coating resists corrosion of the water tight design enabling trouble free easy recording of water levels. The sealed Faraday cage design greatly simplifies maintenace and provides protection against electrical spikes caused by lightning. The Levelogger Gold can operate in a multitude of temperatures from -20°C to 80°C with a response time of <1 minute and the transfer of data is a simple procedure using optical infra-red interface, serial at 9600 Baud, conversion to RS232 or USB computer connection. Can you retrieve data if there is a Communication error on Solinst gold Levelogger, with a flat battery? Try submerging the Levelogger in warm water, this will warm the Levelogger and possibly give it enough power to access the last dataset. What devices is the Solinst levelogger interface app available on? The free app is available on both Apple® and Android™ smart devices.